After a long period of economic development and expansion, the world is at a turning point in its history. 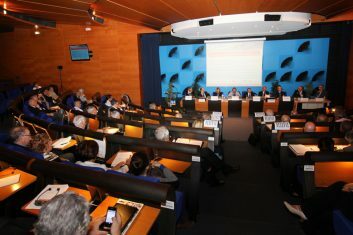 The 14th annual conference of “Les Rencontres économiques d’Aix-en-Provence” had the ambition to imagine and discuss about the new global dynamic process of investment. 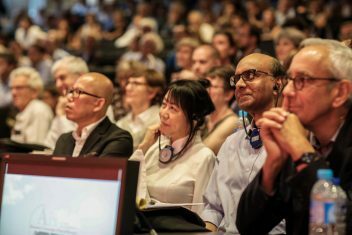 Over the course of three days, academics, business leaders and political and student representatives from more than 30 countries will define the outlines for a new future. Over the past few months, the troubled atmosphere in the world has often been analyzed in too simple a way. As history has often proven, what seems to be permanent is just a short phase in our trajectory. Whether in . 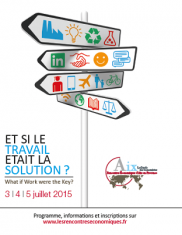 . .
12 PROPOSALS FOR A SOCIAL COMPACT OF PROGRESS The challenges raised by the Rencontres Economiques d’Aix 2017 are strikingly urgent. Technological change and globalization have brought about unprecedented wealth, but with its long ignored suffering: democracies in jeopardy, unequal . 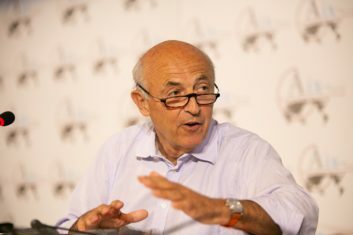 . .
For three days, 220 people from 30 different countries and a wide diversity of backgrounds have talked about employment as a source of wealth and opportunity. On Friday, the general framework of the three-day meeting was established. On Saturday . . .
“What contribution the Social and Solidarity Economy can it provide to the development in the Mediterranean ?” Organization: The tenth conference of RV Med, organized by the Institute of the Mediterranean/Femise & the Cercle des économistes will be held . 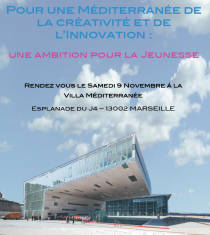 . .
“For a Mediterranean of Creativity and Innovation: an ambition for the Youth” The 9th Economic Rendezvous of the Mediterranean were held at the Villa Méditerranée in Marseille on Saturday, November 9th, 2013 concluding the Mediterranean Economic Week in . . .